High pressure cleaning is the process of removing roof stains including algae and fungi from roofing materials, in places where humidity is high and prevalent. 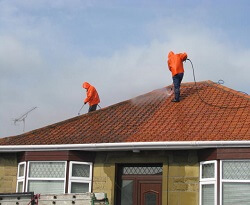 High pressure cleaning is performed using the soft-wash system. The black stains hold a number of different algae and fungi, which need a warm, humid environment to thrive. Algae and fungi begin their life as airborne spore, and they settle on roofs. 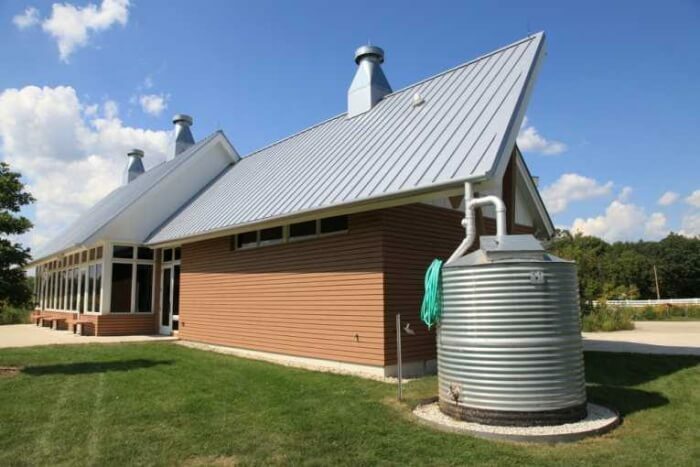 The spore that lands on the northern exposure of a roof has a better chance of survival, because after morning dew or rain, that is the last part of the roof to dry. This increases humidity on the surface of the roof and making it a prefect breeding and feeding ground for algae and fungi. If the algae and fungi on your roof is not high pressure cleaned every once in a while, the algae and fungi will spread causing more of an issue over time and cause the roof material to degrade. 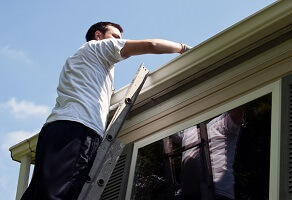 Gutters are one of the most challenging parts of a house to maintain. They’re difficult to get to, frequently block up, and require constant supervision. If you’re desperate to have your gutters cleaned out and returned to their original working condition, look no further than using us to do it for you.